An Awakin Festival In Warsaw! 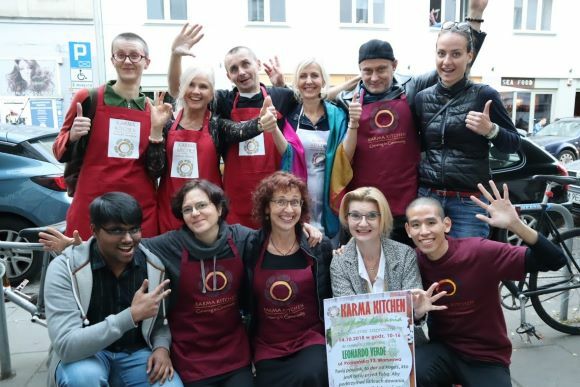 Over the last weekend in Poland, our local Awakin Team planted so many seeds of joy and love in Warsaw. 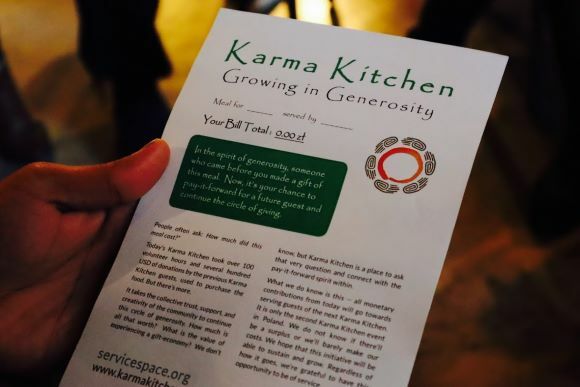 It started with a public talk, then it was followed by a 9-hour Awakin Festival, and then a full-day Karma Kitchen at one of the best vegan restaurants in the city. My heart is still rejoicing with such sweetness and joy, from our days together! Such a blessing beyond words. Below is a photo from last October, after which few of us ended up having a spontaneous conversation at the door. That seed combined with the untiring laddership of monk Jin Wei, we started Awakin Circles in Warsaw. And last couple days, with Nipun's visit, gave us a tremendous opportunity to build on that momentum within our local community. 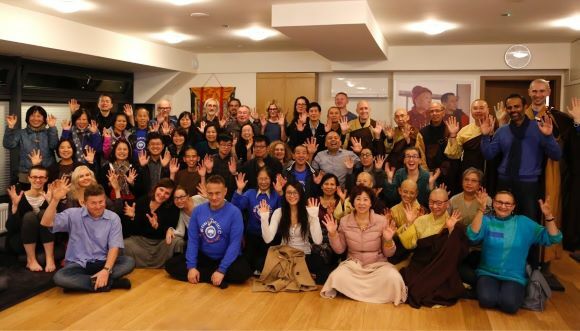 As Jasky, our secret weapon from France, :) said, "The weekend felt like one big lesson in skillful means for reaching hearts, on the Bodhisattva path." The boundaries of countries, languages, cultures and so much more, all seem to dissolve in presence of great compassion. One world, one love. On the second day, Piotr had envisioned a remarkable "Awakin Festival". At the last minute, he had a health challenge and had to go to emergency, but then, rather miraculously, he not only recovered the next day but emceed and even performed. 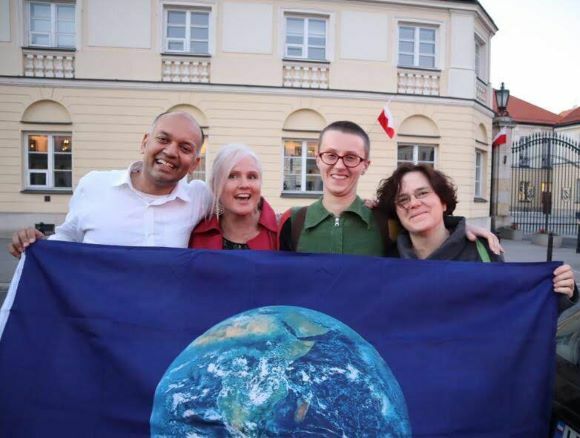 We are all very grateful to Piotr. 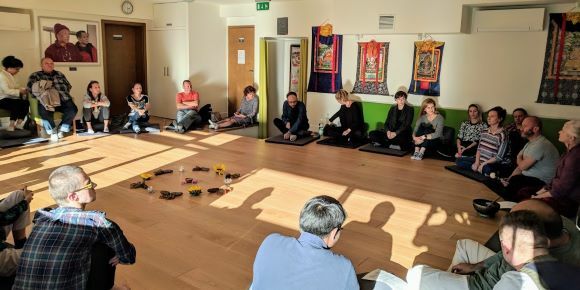 And then, we expanded our circle to include others for a spirited tea ceremony, a soul-stirring "sound bath" with drums and didgeridoo, poetry reading with open-mic, and a spiritual concert! Dorota, a student of H.H.Karmapa who was hosting our event, was so thrilled by the end of the night that she wants to do such events every quarter. In the end, our bodies were tired (all of us, except Edwin, who was ready to go another few hours! ), but all our spirits were definitely overflowing with happiness. Nothing can express our gratitude for all the miracles that emerged during this beautiful autumn weekend. We were so very grateful to Nipun and Jaski for coming, for their all-embracing kindness, openness, warmth, gentle compassionate heart and bright smiles. With joy, we intend to keep spreading all this love to the world -- and we hope to see many of you in Warsaw someday too. May the ingenious power of generosity transform the whole world! Amazing! I was just in Warsaw three weeks ago visiting my friend Alex and only found out there were Awakin circles there a few days ago, so I messaged Alex yesterday telling her about the circles and she replies saying she just met you that very evening :-). Wonderful web of connections. Thank you for sharing these stories Iwona!